A Darker Wave is a duo consisting of p-mac and jacki-e. We are based in the UK and we have been doing our radio show on various stations since 2015. We have been dj-ing since 2013 and we play DJ gigs together as A Darker Wave. We produce our own music together and also remix tracks for others. 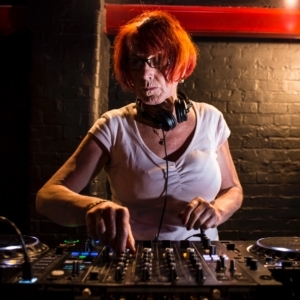 Jacki-e plays DJ sets in her own right. We also promote events in the UK under the Darker Wave name. What and who is A Darker Wave? We are a duo (jacki-e & p-mac) who present our own radio show every Saturday at 10pm EST on House Nation Toronto.. We put the show together at our home studio. Each show is posted on our Soundcloud and Mixcloud pages once it has been streamed. We also play gigs as A Darker Wave and we have played at events in Germany and the UK. The music we play is techno, tech house and deep house. Each show is 2 hours long. In the first hour we go into the mix with our featured EP of the week and the best of the new releases. We also promote up and coming DJ's and producers who are not widely known by playing their music and offering them the opportunity to do a guest mix, which is played in the second hour of the show. To us this is very important. Without new music, there is no development, no improvement, no advancement. New DJ's and producers are the lifeblood of our music, regardless of genre. Why are you called A Darker Wave? Dark Wave was first used in the 1980s to describe a dark and melancholy variant of new wave and post-punk music and was applied to UK musicians such as Bauhaus, Joy Division, Sisters of Mercy, Cocteau Twins, The Cure, Siouxsie and the Banshees, Depeche Mode and Anne Clark. It was also used to describe artists who combined music with performance art, such as Throbbing Gristle and Cabaret Voltaire, who challenged and explored the darker and obsessive sides of the human condition. A lot of techno takes its spirit and ethos from this music, Listen to Throbbing Gristle or Cabaret Voltaire and you can hear the industrial sounds which are a staple of techno music today. Techno is the outsider of electronic dance music, the punk of today's modern music scene. As Dave Clarke said in an interview with Mixmag, " Techno is edgy. Techno will challenge you......it's the real dark art." Our radio show, in presenting the best in underground techno and deep house music, and in giving an opportunity for new, up and coming DJ's and producers, is providing an outlet for new techno, which is best described as being the new wave of modern dance music. When we were listening to music in the 60’s and 70’s, before the electronic tentacles of technology infiltrated the world, we often thought, whilst listening to the likes of Led Zeppelin, Pink Floyd, King Crimson, Frank Zappa, Hawkwind, Captain Beefhart, New York Dolls and Roxy Music, where would music go to in the future? It could never be what was being portrayed in the science fiction movies of the time. Now we know. It can be anything. When we have a recording studio in our own home which is more powerful and versatile than anything available back then, we now know music can be anything and go anywhere. It is only the spark of our imaginations, or lack of it, that holds us back. On our laptop computers we have the capabilities that many artists back then would have given their right arms for. It’s for the uniqueness of the artist to express themselves to be able to stand out from the deluge of music available. Finding those gems is the modern day equivalent of crate digging and when you do, it makes it all worthwhile.